DNV-GL Business Assurance recently performed an ISO 9001:2015 certification audit on ICE. 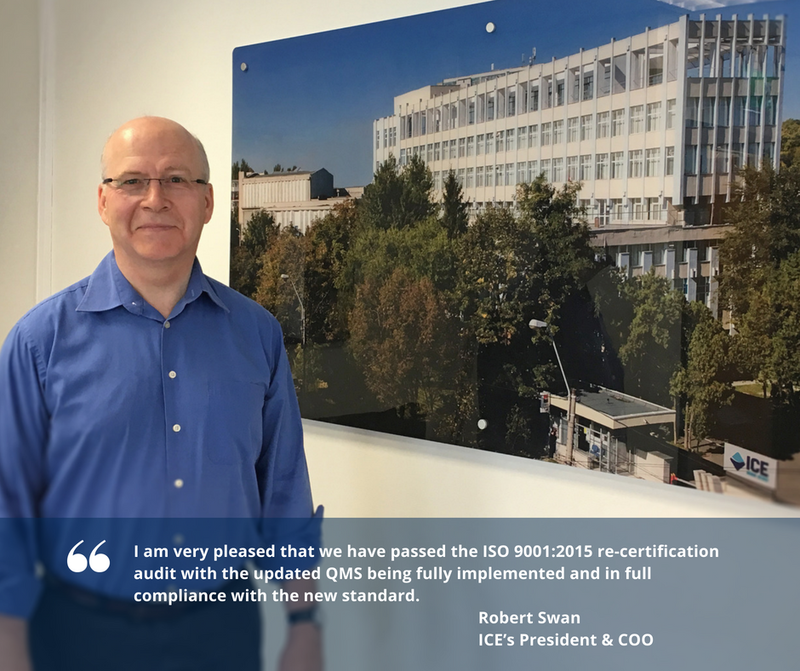 The certification audit was the last step in ICE’s upgrade of the company’s Quality Management Systems (QMS) from the ISO 9001:2008 certification to the 2015 revised standard. ICE successfully passed the certification audit in June 2018 with the certification remaining valid for three years, subject to annual interim review audits. The latest ISO 9001:2015 standard supersedes the 2008 standard, introducing a new focus on management of risks and opportunities and incorporation of a “process approach” to QMS integrating the PDCA cycle (Plan-Do-Check-Act) into the business process to ensures growth and sustainability. The company’s updated QMS brings quality and continuous improvement into the heart of the business and ensures that quality management is integrated and aligned with the ICE Group business strategies.